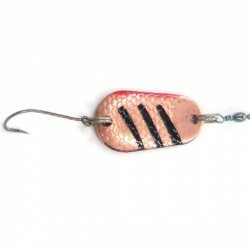 Painted brass lure mounted with split rings, swivel and single hook. 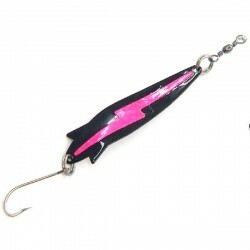 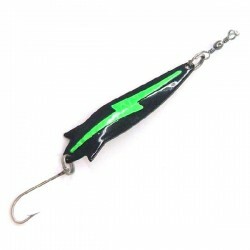 Brass lure painted black with a prism lightening bolt.Mounted with split rings, swivel and single hook. 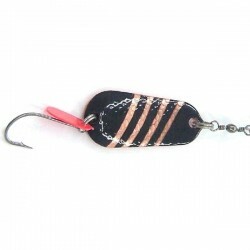 Painted brass lure with split rings, swivel and single hook. 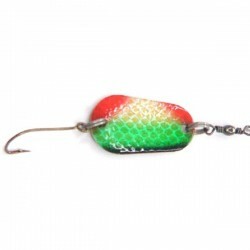 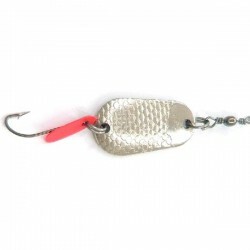 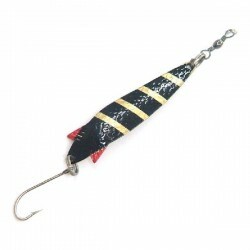 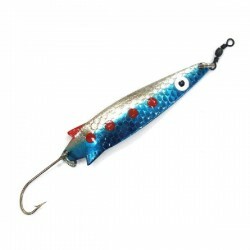 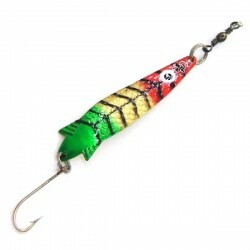 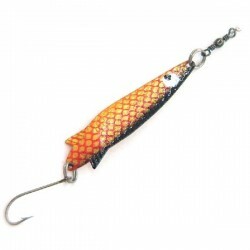 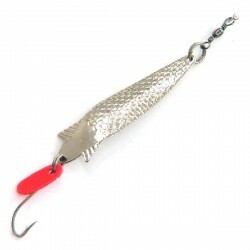 12 gm Painted brass lure with split rings, swivel and single hook. 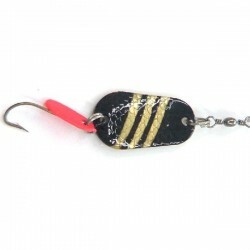 7 gm Painted brass lure with split rings, swivel and single hook.